This audio is of the plainsong variant. Both the tune and the text that exist today as VENI EMMANUEL (O come, O come Emmanuel) is a fascinating story of synthesis - with the major components originating centuries apart and coming together over the course of twelve centuries. The hymn is perhaps the quintessential Advent setting, with it's sevenfold plea, O come. (The season before Christmas, "Advent" is a cognate of the Latin adventus, arrival; from ad venire, to come.) The text is sourced from the "O Antiphons" which appeared in Rome in the 8thC, though there are oblique references in earlier literature alluding to their use. The antiphons were sung at vespers (evensong), bracketing the Magnificat, on each of the seven evenings prior to Christmas Eve; the hymn that has since emerged lives a rich life in Latin, German, and English, set to several tunes. 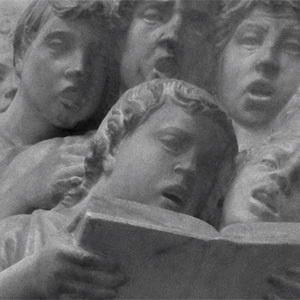 The earliest sourced version of the melody is found in a 15th C. Requiem, embedded in a responsory; though earlier dates have been suggested, there is no documentary evidence supporting such claims (including the composer's own reference to a library in Lisbon). The text and tune first appeared together in mensural form in Germany, published in Psalteriolum Cantionum Catholicarum (Cologne, 1710), which rendered five (of the seven) antiphons. It would be nearly a century and a half later before it would be hammered by John Mason Neale into the English form we know today, though still with only five verses. 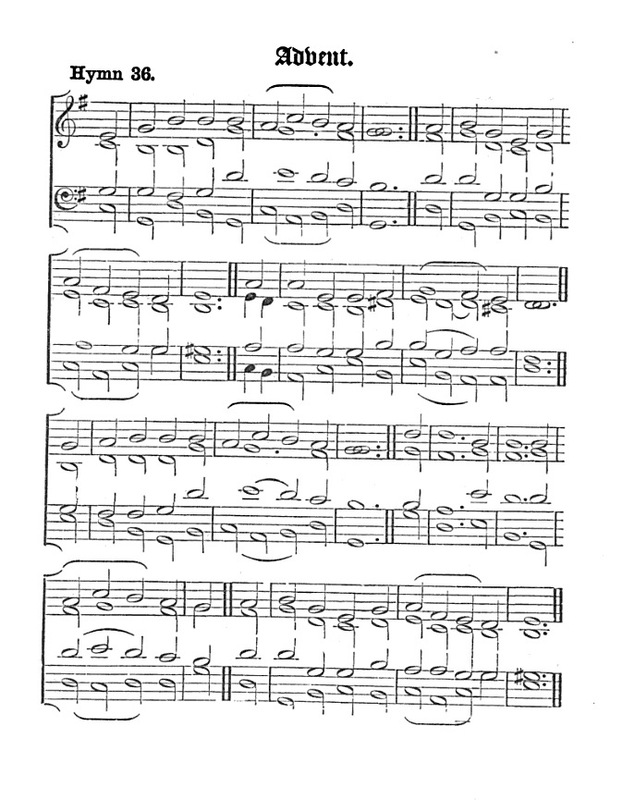 Thomas Helmore, whose career had become focused on researching and adapting Latin plainsong, composed VENI EMMANUEL, which in 1854 was brought forth by Neale in The Hymnal Noted, Part 2 (image); Neale had earlier published a version for his Latin hymnal, Hymni Ecclesiae. 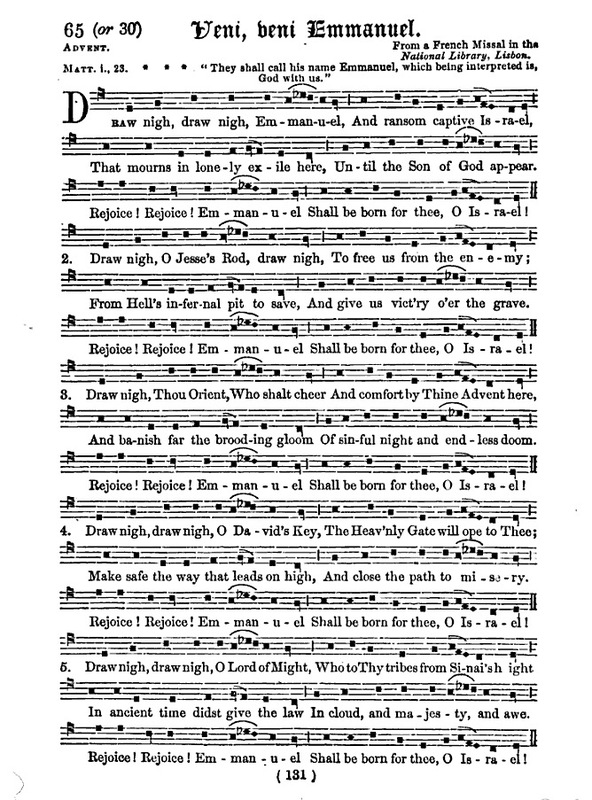 Neale revised the translation for Hymns Ancient and Modern (1861) - most significantly restoring 'O come' to the incipits, as opposed to his earlier 'Draw nigh;' and 'shall come to thee' to the refrain (versus 'shall be born for thee') giving his seminal work a definitive foundation as an Advent hymn. HA&M also gave the music it's now-familiar metrical form in modern notation (image); the originally published version in The Hymnal Noted was in mensural form. It would not be until The Hymnal 1940 included the two 'lost' verses, translated by William Sloane Coffin, that the full seven incipits of the O Antiphons were again collected in their entirety. Both versions on a single page.